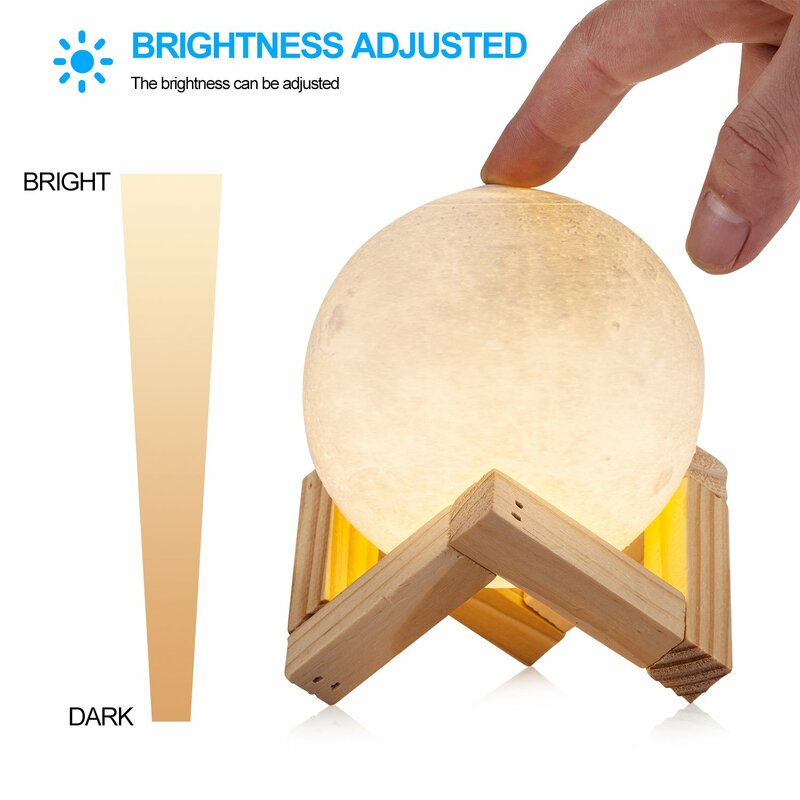 Instructions: Touch the control switch within 1 second to switch light color, and touch more than 1 second to adjust the brightness of the light. 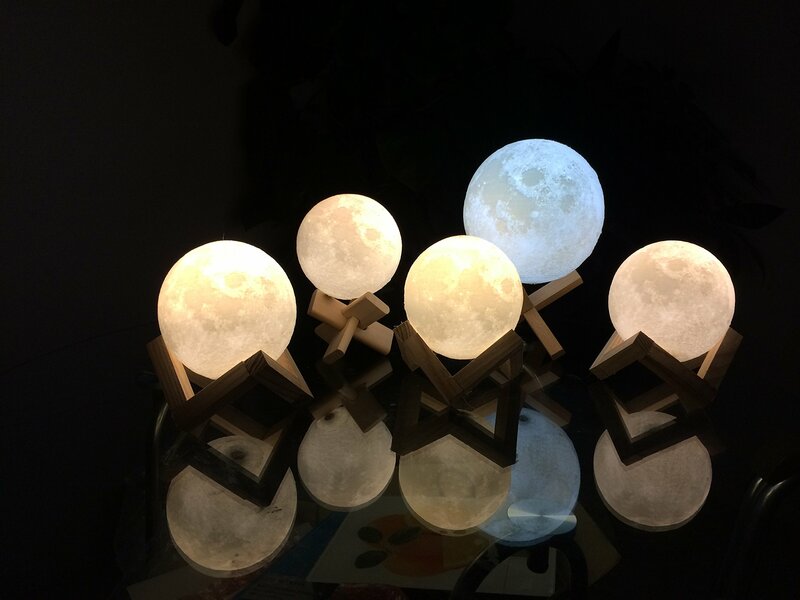 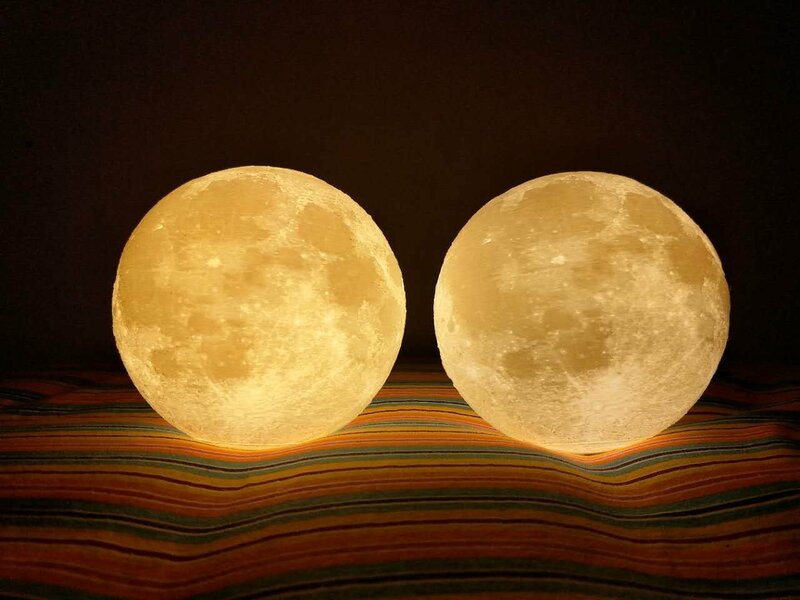 Excellent performance--Give off a comfortable 3000K Warm White and 6000K Neutral White illumination, short touch to turn on/off the moon light and long touch will help you to adjust the brightness. 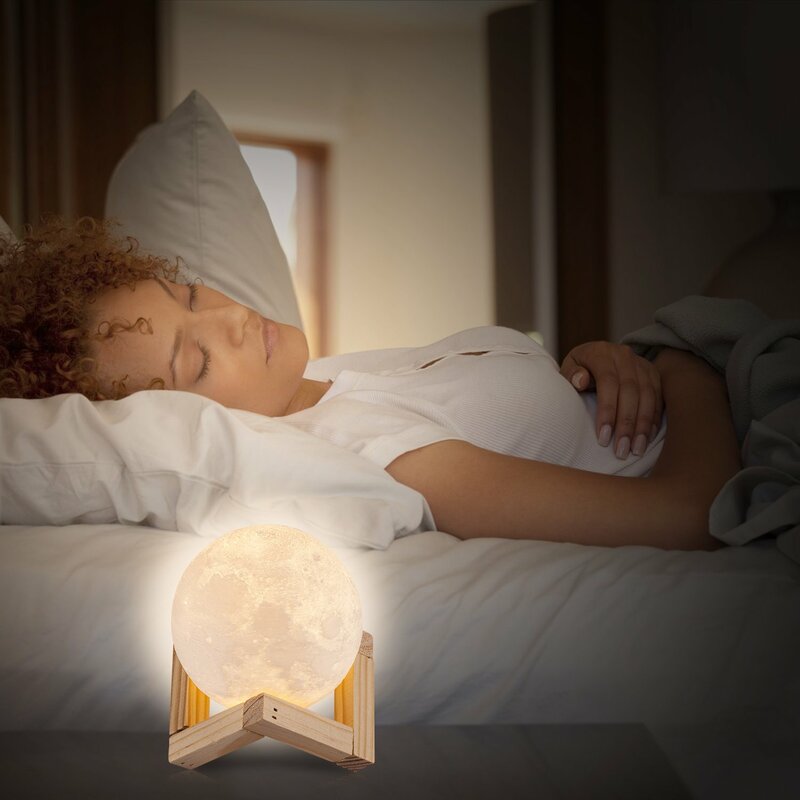 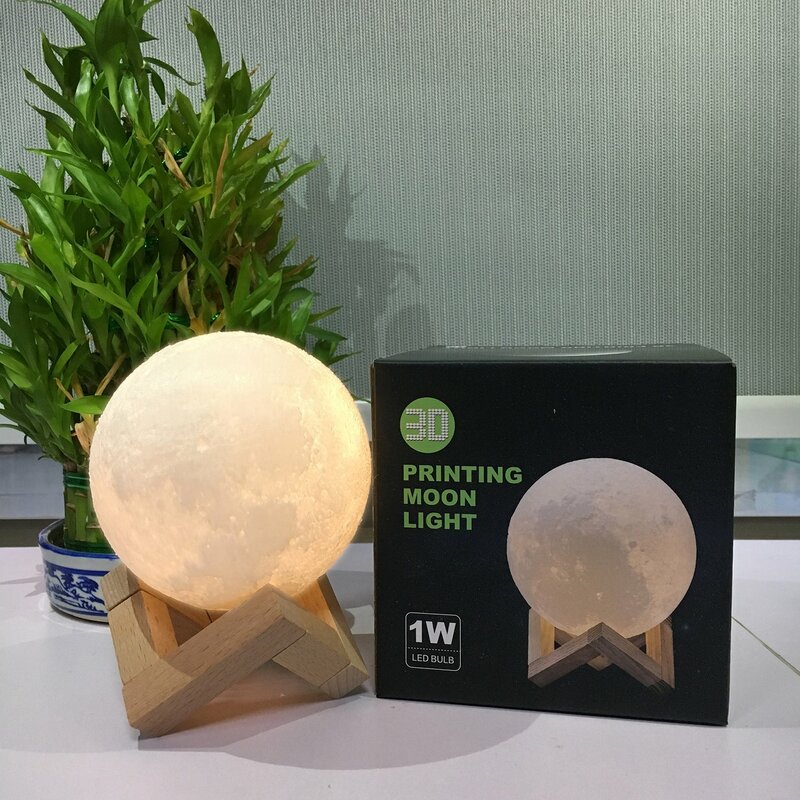 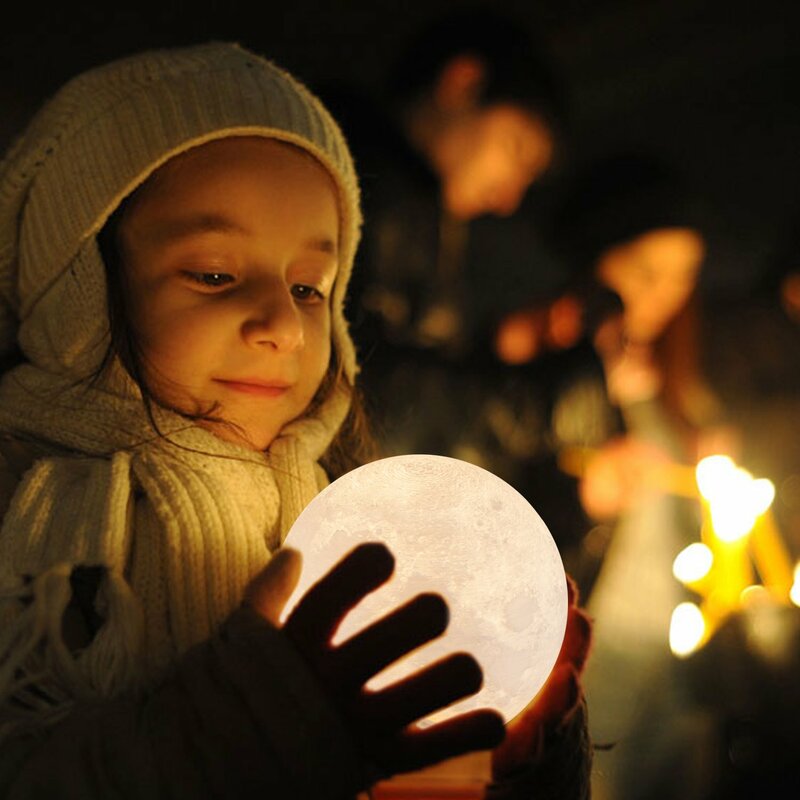 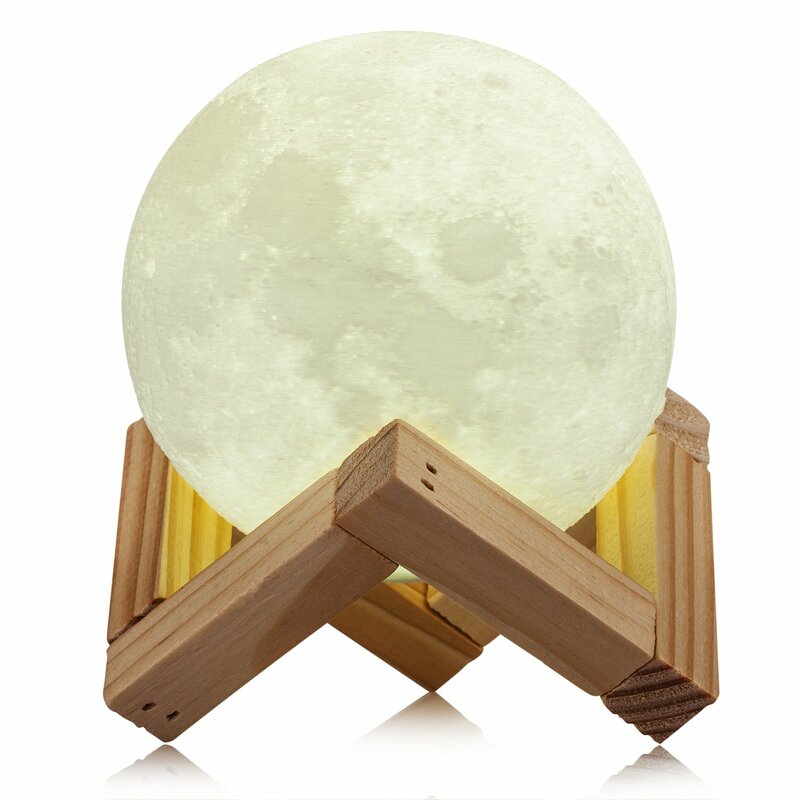 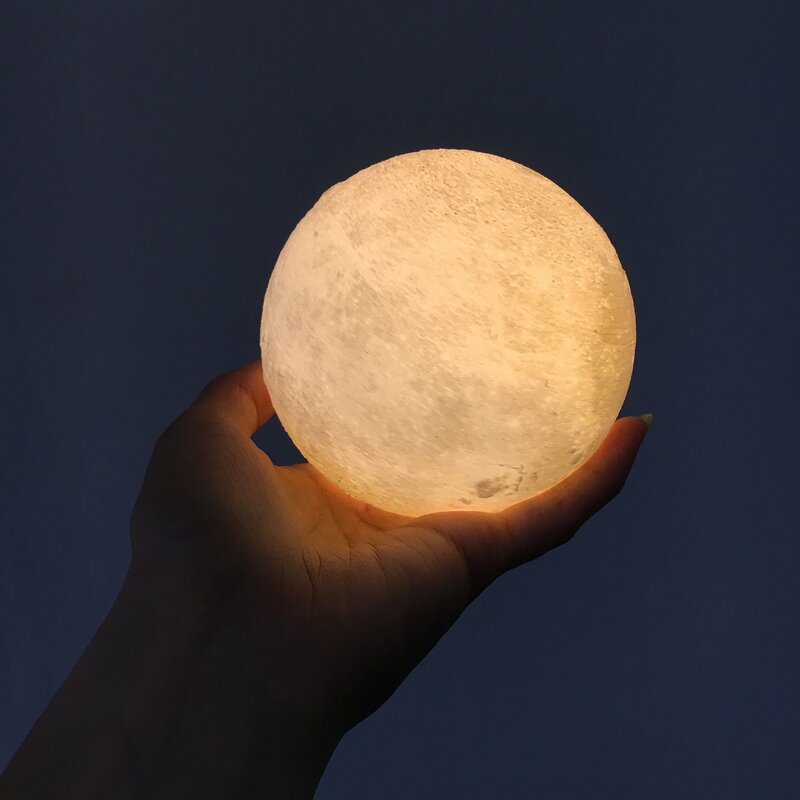 Our 3D print moon light offer you an impressively wide 360 degree beam angle.